Is it different to write “chocar com” from “chocar contra”? Not sure either, but verbal regency rules are on the plans. If you confirm that with an URL, please, share the rule so it can be added. Could a rule be created? :VERB + POR + em/na/nas/no/nossuggesting replacing “por” with “pôr”? This is also a great rule, within the same category (verbal regency), so likewise. Can we make this the new [pt] thread, and place all [pt] rule contributions/discussions here? Having a single thread, makes everything tidier and easier to reference. I feel discouraged when searching for old threads in the dozens of posts this forum has, so potencially good ideas get lost this way. Could you just change the topic subject by clicking in the pencil so that people know this is the topic? Or maybe only the person who creates the topic can edit its name? If so, which name should be given? or anything else you see fit. Houve, já se sabe, alterações que no entanto foram revertidas, como foi o caso de Scott Kelly ter crescido 3,81 centímetros, mas depois de regressa à Terra voltou à altura que tinha. “depois de REGRESSA à” should suggest “REGRESSAR” in infinite. Great possible rule, eh? I have seen several persons committing this mistake. Or is there another type of rule for these pejorative words? PS-> The plural of “bófia” isn’t in the pt_PT speller but I checked on Priberam dictionary and it exists there. Could you create a rule that suggests replacing “é” with “e”? All added to the list. Keep’em coming. Since the Dicionários Natura is not releasing updated versions of the dictionaries I though on moving on with my own dictionary releases in GitHub. The catch is, I need someone to review it. My changes are only derivations (prefixes and sufixes), and they are based in general morphological rules. I have reviewed them summarily, but they require extra checking. If you cooperate on this task, I will push the first version as a new GitHub project later this week. First step is only plurals and only AO90. I have a deep interest in the prereform pt_PT speller as I still write without the AO90. Is there a way to make it official? 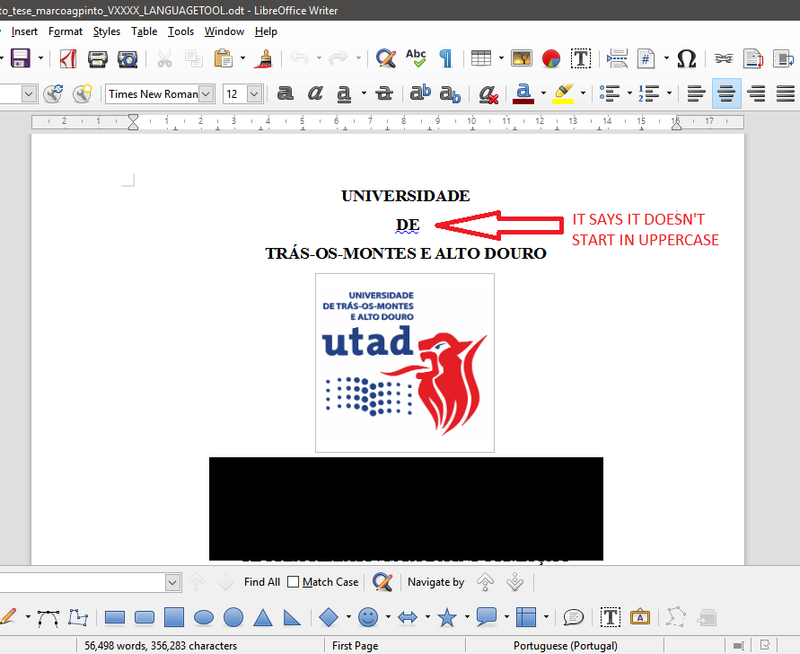 I mean, to transfer the maintenance from Minho University to you, and use it in OpenOffice + LibreOffice? I could search for the e-mails I sent to Minho University years ago suggesting many hundreds of words, none of which were added. A couple of years ago or so, I was in Freenode annoying the LibreOffice guys to accept both pre and post reform pt_PT spellers and they said there was already a code to differentiate both (or something like that) in the official languages somewhere site where there are the standards. Maybe it could be possible to release both, pre+post, in the same OXT and LO allow to choose between them? Or maybe that would need to be improved in LO 5.4? Awesome. Many thanks. It is not a easy task. Do not get me wrong, Marco. I do not wish to fork the project, nor take that extra responsability, but I believe that having the improvements tested here before integration in the “mainstream” would be a win-win situation. LibreOffice could also use it later, after sufficient triage (one release cycle, maybe). One thing that may be easier is to convince them to push a pre-AO90 dictionary to pt-AO. Although they already have the locale, they do not have a dictionary pre-installed for Angola, and it is equivalent. Another win-win situation. Toggle solutions will not be easy. Contribute to TiagoSantos81/PortugueseLibreOfficeExtension development by creating an account on GitHub. It has changed roughly 30k dictionary entries, so some may need a fix. Extensive review is required before integration in LO, but I believe that in a week we can integrate in LanguageTool for wide usage testing. For testing convenience, I added a Firefox dictionary add-on. Only Pos-AO90. Tiago, I still haven’t had the time to check anything. Could you do a Firefox add-on pre-AO90? It would have to be set as a pt-AO locale to avoid reporting conflict. The pre-AO version is also more conservative. It is limited to improvements in gender and number variations. This is great. One thing that may be easier is to convince them to push a pre-AO90 dictionary to pt-AO. Although they already have the locale, they do not have a dictionary pre-installed for Angola, and it is equivalent. Another win-win situation. Any news on this, or on LibreOffice add-on testing? NOTE: All feedback is welcome. This thread is not an “internal discussion” so all users testing the new dictionary version are welcome to provide constructive criticism. Sorry… I spent the day coding to fix some issues in the PhD project (software). Here are most of the words that appear as typos… again, notice that some may be pre-AO. As you can see, even I didn’t want to, I had to use M$ Office because the pt_PT speller doesn’t recognise tons of words. I have also tons of false positive grammar suggestions reported by LanguageTool, which I will make a list when I have some more free time. Thanks for dedicating all this effort and time to the projects. Well, those are words not included. Not actual dictionary errors. The revision has to be on false negatives, i.e. word derivations included that are incorrect. Using your examples. If ‘rastreamenta’ (feminin of rastreamento) was considered correct, that would be a dicionary error. [image] @tiagosantos @dnaber LanguageTool complains that "DE" doesn't start in uppercase (see screenshot). Can it be fixed before the official release date? Thanks! agreement issues with proper names, and false negatives in brands. Dedidate your time to finish your PhD. I already have people looking into it. Thanks. @tiagosantos Hello! What is the file that stores the subject's words? I have a physical dictionary with tons of them, but mostly are Latin, so the speller will show them as typos. But in other grammar book, starting at page 100, I have tons of them. I will try to do some work on it before the official release date at the end of March. Thanks! changed 4 files with 3118 additions and 6 deletions. changed 2 files with 1311 additions and 61 deletions. Please, keep these thread for all portuguese matters. It is much easier to reference.